Big seems to be the new black for most smartphone vendors as they work hard to roll out their own take of a big screen fancies. 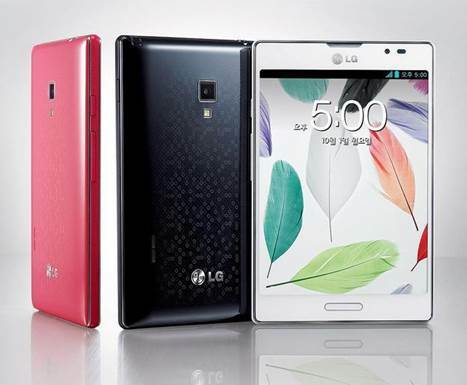 While many went with widescreen wonders that are tall and skinny, LG preferred to go with wide and stout as it can be seen on one of its latest 5in device: the LG Optimus Vu: (pronounced View). We’re fortunate to receive one to do an extensive review and, in fact, had been told to make sure we cover every possible aspect of the device. We’ll definitely try! When it came to 5in, it’s all about the size and how it is fully utilized. With the Vu, the designers felt it’d be better to focus on being different and standing out even more than the current crop of competitors. To achieve this, they went with a really out of this world concept: introducing a wider form factor that gives the device a native 4:3 resolution display. The result: a portly screen size that is encased in hardened plastic that acts as a protective shell for the entire chassis. Amusing note: the back plate of the Vu: has a pattern design that gives it a more contemporary look and feel. From games, to picture editing, and viewing HD content, as well as dealing with multi-tasking in between, the LG Vu: is more than capable of handling all sorts of tasks that come its way. In fact, the device has enough internal RAM and storage (1GB and 32GB respectively) to deal with all the apps and enriched HD content that are being stored/operate on it. There doesn’t seem to be any lagging or slowdown whatsoever...thus far. Even HD movies played without a hitch though it must be admitted that the video player apps used have issues with some file formats and thus caused the Vu: to become sluggish once or twice during this review. LG, for all intents and purposes, wanted to design a 5in device that is supposed to cater to businesses and high-lying entrepreneurs. In what it can do and what it has to offer, LG pulled it off nicely with the new Vu: However, in terms of practical storage and safekeeping on the owner’s person (aka the pocket) or smaller bags, the Vu: will present users with a real hard time in keeping it. As it is, most will find it difficult to slip it into a pants pocket, let alone one that is featured on a shirt. Some would even find it inconvenient to put it into a small carry bag. With its somewhat wide screen and seemingly 'more open' space to utilize, the Vu: makes for a very appropriate eBook reader. From comics to light novels and even heavy reading, the 4:3 resolutions proves to be a real boon to those who want that extra room for the perfect reading space. It is a real plus that when the Vu: is oriented horizontally, the screen becomes 'wider' and provides that virtual space for better readability. Vertical height be damned! Throughout this review, there had been complaints as to how blinding the Vu: really is. In fact, most have reported having immediate eye-strain upon glancing at the device. 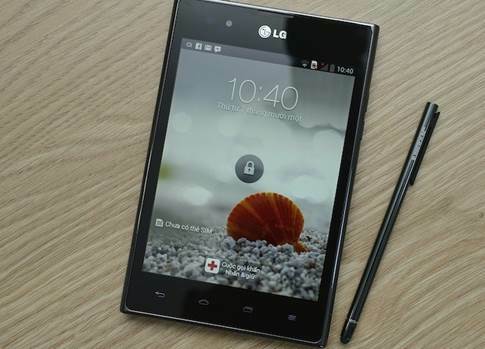 This is due to the HD IPS panel it uses, which consistently provide exceptional screen brightness and clarity. This problem can be quickly rectified by turning on the auto-adjustment sensor for bright levels. One switch toggle later and the Vu: starts altering the screen brightness levels with immediate effect. Eye-strains added, the Vu: does act like a nice torch light as well. While we're on the topic of displays, the colors and contrast mix of the Vu: is wonderful and well balanced. Whites and blacks are rendered very well with proper gradient while the primary hues are given an extra nice shade. The battery life of the Vu: is, as expected, longer than most smartphones. As in the case of any 5in device, the batteries average out at eight hours with mid-to-heavy use and more than two days on standby. Light usage yielded 18 hours of operation time on a full charge. This is great for those who are always on the go and cannot find a handy wall socket point to use or do not have a power pack on hand. The Vu: is not your everyday oversized smartphone. There is the 8-megapixel camera that works like a dream, built-in organizer and notepad, and LG’s native apps to ensure the user experience is exceptional. Now if only the Rubberdium Pen stylus that comes bundled with the Vu: works like a dream, then using the LG Vu: would be beyond God-like.